Check your chemicals. Is everything stored in its original bottle? Is it clearly labeled? 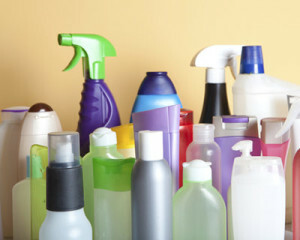 If you answer “no” to those questions for any chemicals, toss them out (safely). Then remind your staff about procedures for properly handling salon chemicals. Clean out nooks and crannies. Of course your staff cleans up at the end of the night, but germs can lurk in the cracks and crevices we don’t consider every day. Lift furniture to check for errant clumps of hair. If you use whirlpool pedicure spas, check inside the jets for signs of mold or mildew. Recycle those old magazines. Not only does a three-year-old issue of InStyle in your waiting room make you look a tad, well, out of style, but it also harbors major germs. If you have any toys around for your younger clients, find ways to safely sanitize these and/or replace them. Think about how many hands touch these items in a day, a week, a month. Mind your floor wax. Do you wax your floors? If so, have you ever removed the wax? Floor wax can build up and become brittle and slippery, increasing your chances of a slip and fall accident—one of the most common salon insurance claims. Remove wax at least every six months. What does your salon’s spring cleaning routine look like? Tell us on Twitter @SASSI_Brownyard.